This accessory table is made from a wildly burled, English Brown Oak. This is material from the same tree our large dining tables, Frontier and Resurrection are made from. Consistent with our style, the cracks are held together with structural walnut bones. The turned legs make this an elegant and simple piece. 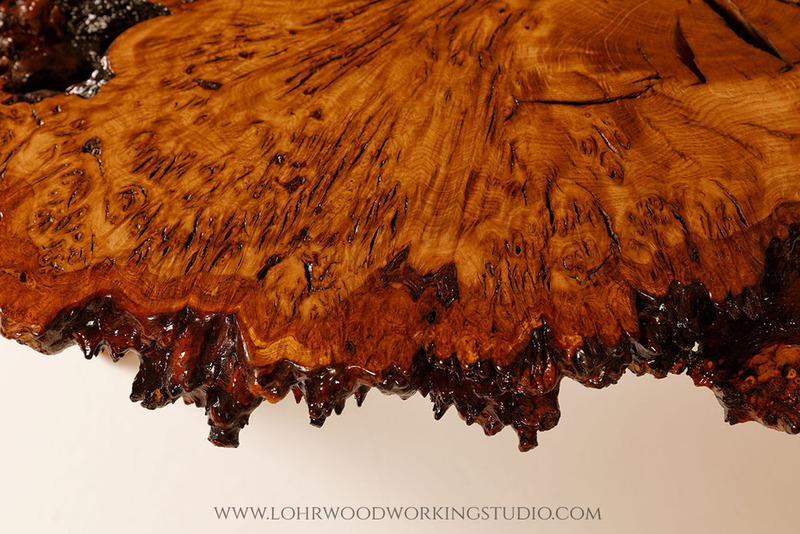 The natural edge of the brown oak is full of character and interest.